A number of years ago, friends of mine from Brazil came to dinner. 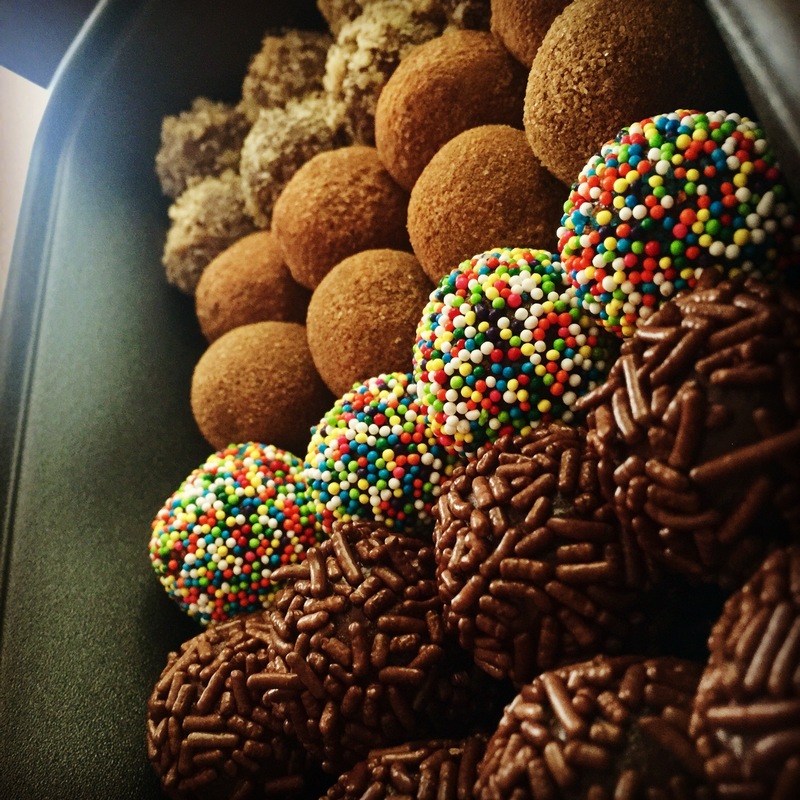 They brought brigadeiro – a traditional Brazilian confection made of sweet, rich buttery chocolate and milk. They’re essentially like bonbons. I remember being shocked when I found out how easily they are made, especially considering how amazing they taste (and they are so cute). 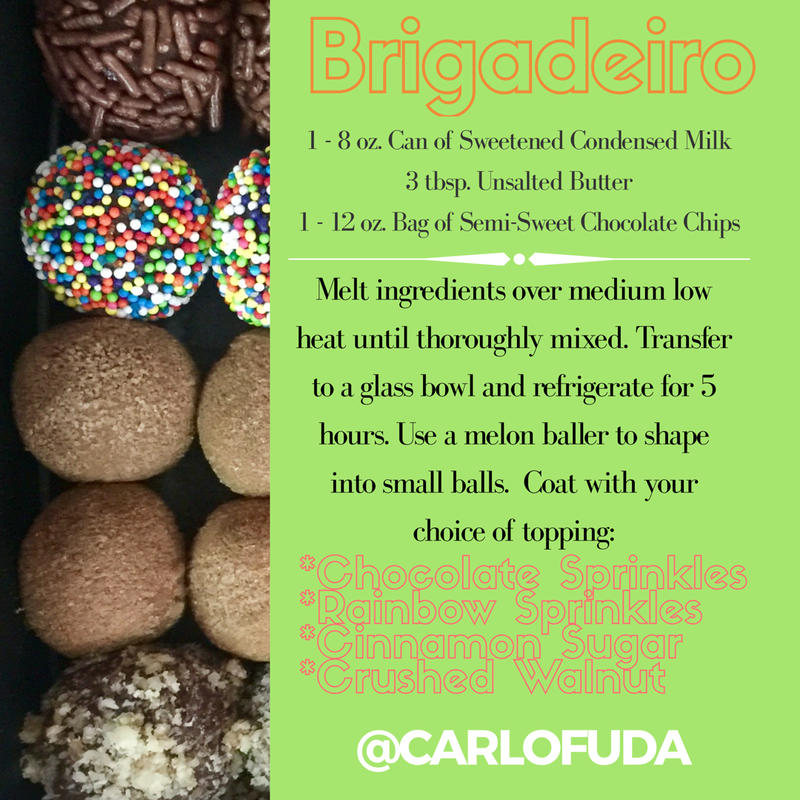 Just a few simple ingredients, a few hours of waiting, and a whole lotta getting your hands dirty…roll ’em around in whatever your imagination can fathom…into the fridge, and off to your next picnic, housewarming party, or quiet movie night at home.